Should You Rent a Junk Removal Dumpster? If you’re wondering how to get rid of junk, you might be surprised by how many options are available. Dumpster rentals and home junk hauling services are the most popular choices when planning a major cleanup. 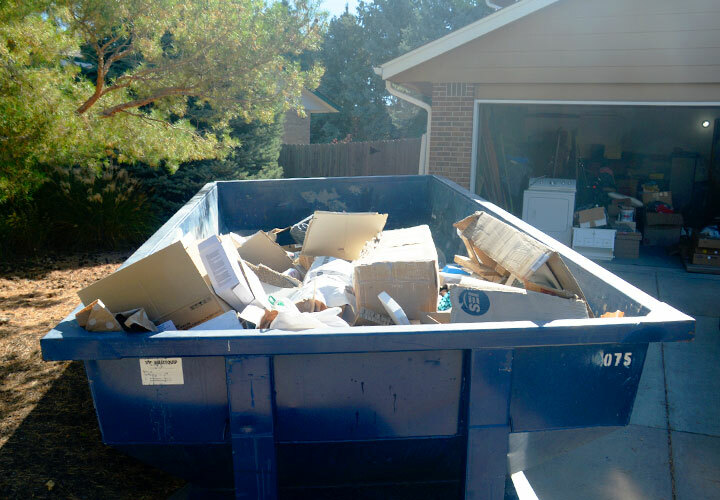 Dumpster rentals are most commonly used for large-scale household cleanouts or bulky item disposal, while junk hauling services tend to work best for smaller, less time-consuming projects. 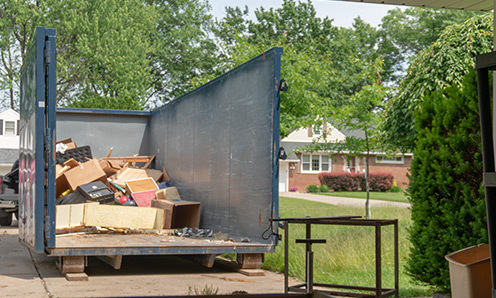 Before choosing one over the other, it’s important to consider a variety of factors to determine the best residential junk removal option for you. Fast Facts: Dumpster Rental or Junk Hauling? Get the full cost upfront. No need to be home. Load at your own pace. Call for pickup when you’re ready. Check out our Dumpster Rental Guide for more info. Be home to get quote. Direct the crew on pickup day. Pay based on truck volume. Prices vary by amount and type of items. How Much Can You Really Toss with Each Option? 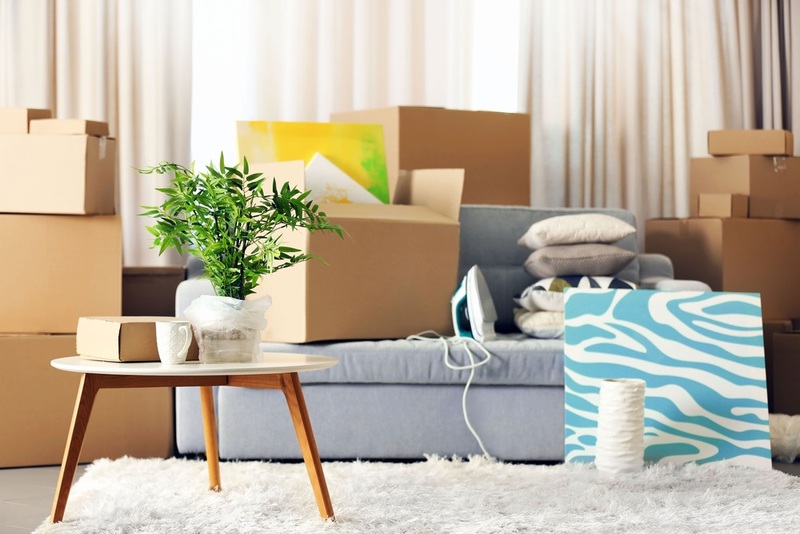 The answer to this will make or break your junk removal decision, because the amount you’re tossing has a big impact on how much it costs to haul it all away. When hiring a service, you’ll likely need to schedule an in-home consultation to determine a price. Most charge based on the volume or square footage of debris you need hauled away. With a dumpster rental, we can tell you the full cost upfront. Time to weigh the pros and cons. 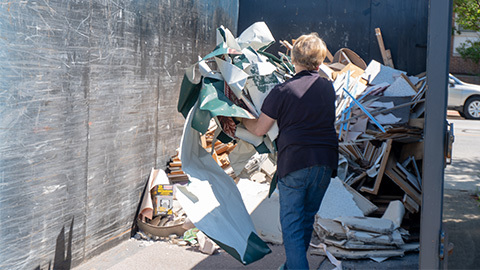 If flexible rental schedules and straightforward pricing are important deciding factors, renting a junk dumpster is the most efficient choice when you’re dealing with a lot of material. But if you’re just trying to toss a few items, you may want to look into a junk hauling company. If you have mobility issues or items that are too difficult for you to move, a junk hauling service might be a good fit for you. Let’s dig further into each possibility. With a roll off dumpster in your driveway, you can get rid of junk at your own pace– without waiting for bulky item pickup day or letting unknown guests into your home. We offer generous, multi-day rental periods so you can take your time. And our empty-and-return service allows you to tackle large or ongoing projects without interruption. Our range of dumpster sizes give you the freedom to handle any size project without breaking your budget. Getting rid of junk shouldn’t be a hassle – that’s why we’re here. If you’re only tossing small odds and ends, junk removal services might be right for you. But when you’re tackling a big cleanout or need some extra time, a dumpster rental gives you the flexibility, convenience and versatility you need.